This unit is for fast programming of the new marklin LokDecoder3 and marklin Sounddecoder3. You can connect it easily to your PC/laptop by means of a USB port. You will require the marklin Decoder Tool Software (mDT) that can be downloaded easily on our homepage. The mDT software will help you transfer existing sound or sound you have recorded on your own quickly and easily. You can now also program very easily all other settings such as maximum speed, braking behavior, etc. 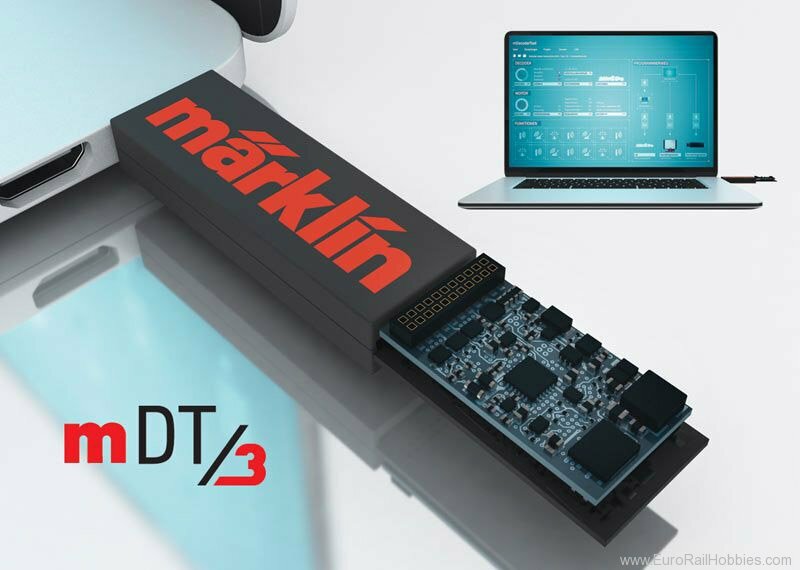 Fast programming of the new marklin mLD3 and mSD3 decoders.